As the nights draw in and the festive parties get under way, the foodies look forward to a month of eating, drinking and being merry without the guilt. At any other time of the year eating, drinking and generally being gluttonous is frowned upon. During December however it is perfectly acceptable to eat out lots and party the night away. So what do you buy a foodie for Christmas? The person who spends their every waking moment dreaming about food. Even when they are eating they are in fact planning their next meal. 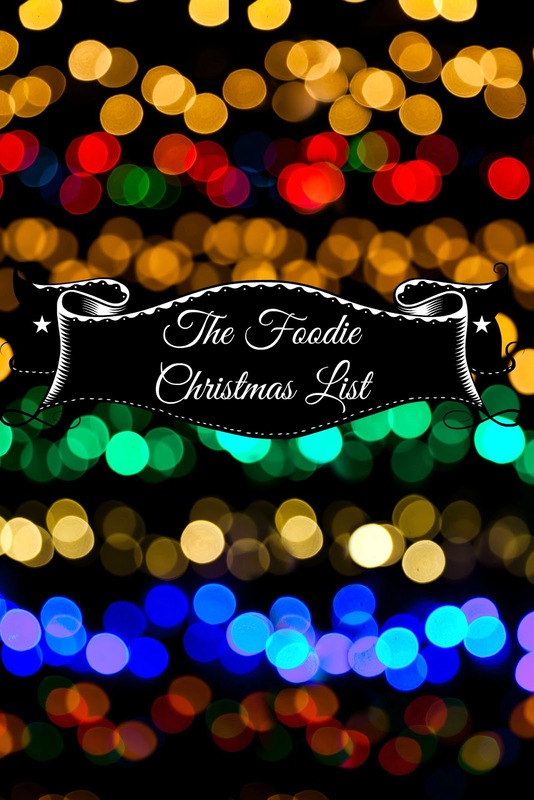 This post highlights some of my best foodie adventures over the last year hopefully giving you some food for thought (sorry I couldn't resist) and ideas for the perfect gift. Who doesn't like Champagne and cheese? This bistro in Covent Garden is the perfect location to while away a few hours devouring your favourite cheeses, charcuterie and sipping on Champagne (The shop sells over 25 award winning Champagnes). They offer lots of lovely food from cheese, charcuteries, tartinnes, salads, Foie Gras, snails and baked cheese the menu starts from £8 and £9 for a glass of champagne. They also have a wonderful afternoon tea £27. If you are looking for a hidden gem for Christmas well this could be it. Champagne and Fromage really could be my new London secret, well that was until I shared it with you all. For those of you outside London you could combine it with a trip to London, the restaurant is near to all the major sites and theatres. The Mad Hatter's Champagne Afternoon Tea is £48 per person and includes a glass of Champagne. It is one of the most imaginative, well presented and tasty afternoon teas that I have had this year and I have had quite a few. It is perfectly located too for shopping on Oxford Street. Have you ever wondered what it would be like to live in a stately home, in plush surroundings, embracing your inner goddess and having someone catering to your every whim? Leaving behind the hustle and bustle of London life you can be in Pennyhill Park hotel and spa within 45 minutes. Hidden away in 120 acres of delightful Surrey parkland the main hotel is set in a beautiful sprawling ivy clad 19th century mansion that plays centre stage to housing The Latymer restaurant by Michael Wignall (awarded two Michelin stars). The Latymer is the perfect foodie destination, with a three course lunch starting from £38. Foodies love nothing more than cooking with fresh ingredients. 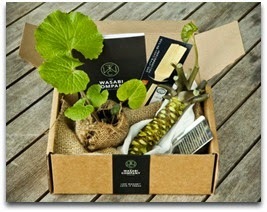 The Wasabi Company Gift box is the perfect Christmas present to add a bit of a kick to your cooking. Gift boxes can be tailored with a plant to grow your own or freshly harvested rhizome and utensils (apron and grater) delivered direct to your door. So you have a foodie that likes consuming food, more than they like making their own baking masterpieces. Turn them into a baking genius with Baking lessons. Bake with Maria offers tailor made classes to learn new skills: Introduction to cake baking, Bread Baking and Macaroon classes. Kitchen accessories that add a bit of interest are a winner in my book. The egg skelter is the perfect gift to add something unique to your foodie kitchen. 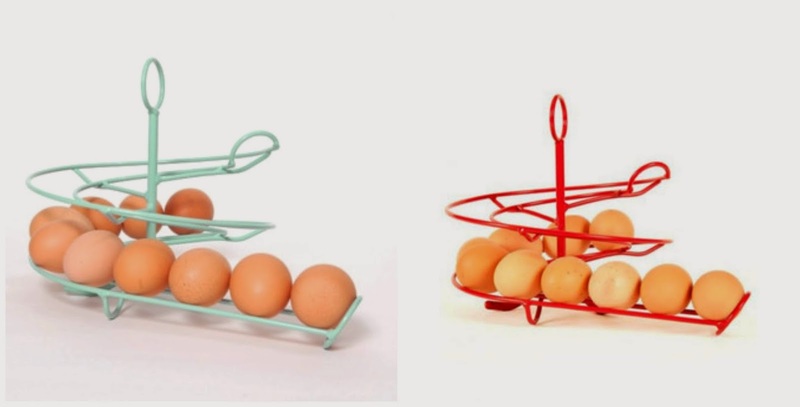 Created in Devon by a small company at £19.95 it offers a vibrant, interesting but practical way to store your eggs. Hopefully this has given you some inspiration. Don't live in or near London, don't worry. You could either visit us here or find alternative restaurants/afternoon teas where you live. You could also be creative and give a gift voucher for you to make a nice meal or afternoon tea. After all foodies just love being fed. What foodie present would you give? I love afternoon tea - there's something really relaxing about being in a nice cafe/restaurant leisurely sipping tea and munching on desserts :) I wish there were more opportunities like this in the US! Pennyhill Park Hotel looks amazing! That's totally what I imagine myself doing if I ever get a chance to visit London! I was only in Covent Garden yesterday, gutted I missed out on fromage and champagne :( Next time!! The egg skelter is fab! I love quirky accessories like that :) Also, Champagne & Fromage = NOM! I'm all for the cheese and wine. With olives and pate, crackers etc.. nom nom nom! I would love to have a mad hatters afternoon tea. These are great ideas even for non-Foodies! I so want to visit Covent Garden. Definitely will my next visit to England. Yes, December is indeed a time for over indulging!!! 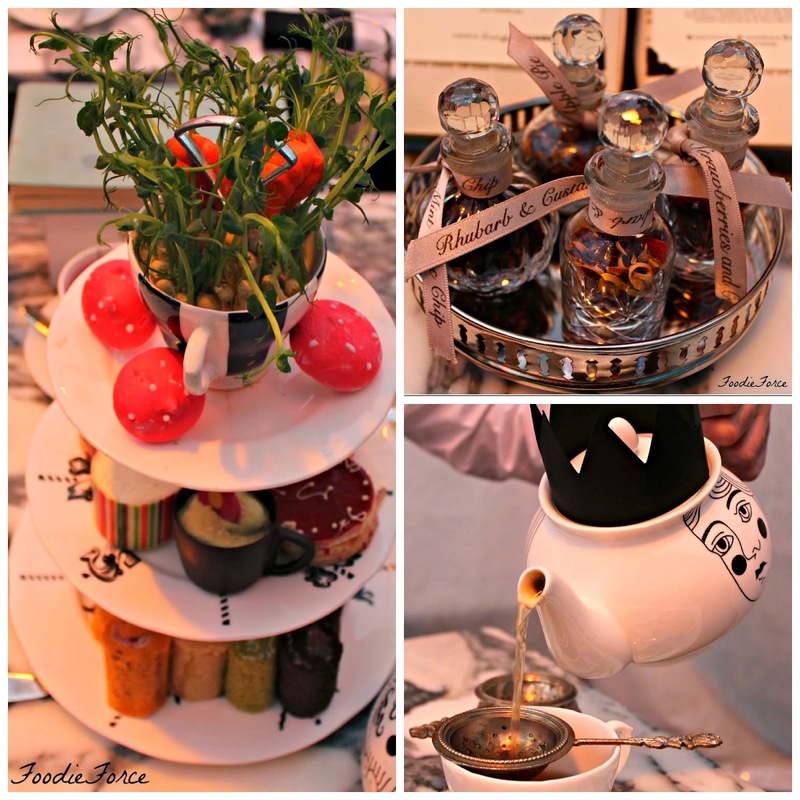 The mad hatter's champagne afternoon tea looks really interesting! Will have to look it up now :) It's such a good idea for a present. Thanks for sharing! Lucy, this is a great list. I love to cook, so baking/cooking lessons of any sort would be one of my favorites. I really like the kitchen gadgets too, but will have to take your word on the places to eat for now. That mad hatter tea party sounds amazing! I love tea, but we just don't do tea parties in Canada like you do in the UK!